Visiting and speaking at the IFA Summit in Berlin, and speaking at IFA+ (a new think-tank conference exploring the future of appliances within the exhibition) was quite enlightening, so I wanted to share a few thoughts about it with you here. 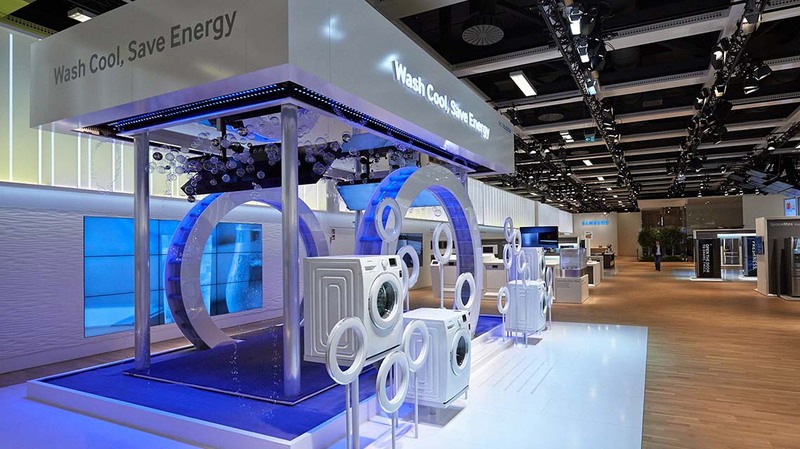 For a week every year, Berlin becomes the appliances – and to some extent, the consumer electronics – center of the world, with companies presenting their latest tech for our homes. Pretty much everyone in the market is there, ranging from Samsung to Electrolux, as well as many of the latest startups. Listening to the talks and visiting the exhibition, the omnipresence of the IoT really struck me. Indeed, while IoT @ home has dominated both startups and even big Web players like Apple and Google in the past, appliance manufacturers have now started to take the business of connected appliances seriously as well. One might argue it’s about time. But when you examine the core values of appliance brands, it’s key that durability is significant: they build things to last for years, and to work as flawlessly as possible. While you might want to (or be gently coerced into) change your wearables or phones every year or so, your stove, washing machine, fridge or TV have a longer lifespan. Moreover, while IoT tech startups are big on pushing MVPs (Minimal Viable Products) or NEVPs (Not Even Viable Products!) out there, appliance manufacturers take testing – including software testing – tremendously seriously. Rightly: how many times have you upgraded the firmware of your refrigerator, and how willing would you be to do this regularly? Appliance manufacturers do realise that the future is connected, and that their machines will need to be part of the next Internet revolution. They’re just looking for stability in a field that’s still fairly unstable. With plenty of low-power wireless/RF tech and plenty of standards to choose from manufacturers are simply… lost! Lost? Why is that? Well let me just list a few of the standards and underlying organisations that manufacturers need to choose between when considering connecting appliances to a broader device ecosystem: AHCIET, AIM, AllSeen Alliance, OIC, ANCE, Bluetooth SIG, CITEL, DLNA, Hart Communication Foundation, IETF, IPSO Alliance, MIG, MQTT, NFC, ngConnect, OASIS, ODVA, OGC, ONVIF, OSGi, PUCC, SD Card, SIM Alliance, TCG, UPnP, W3C WoT, CoAP, WAVE2M, ZigBee, Dash7. Oh wait, I forgot a few: ASIS Int’l, Aureside, AAPA, CIGRE, DLMS, DRSG Coalition, EDSO, EEI, ENTSOE, GS1 EPCGlobal, ESMKIG, Eurelectric, GSMA, EUTC, Gridwise Alliance, Gridwise Architecture Council, JSCA, NEMA, NIST, T&D Europe, TIA TR-51, UCA, UTC Smart Network Council, UTC, BACnet, CABA, EnOcean Alliance, HGI, Home Grid Forum, Home Plug Alliance, KNX, OBIX, X11, Z-Wave. Looping back to IFA, I enjoyed two IFA+ talks touching this issue, the first one by Paul R. Brody from IBM who was talking about taking a deep breath, a scientific and core engineering approach and go fix the IoT. He and his team actually did this – and wrote a very interesting report on this called Device democracy. The next talk I wanted to mention in this vein was given by Joe Decuir, and addressed the next wave of standardisation efforts for Bluetooth to better fit the IoT. Bluetooth is one of the few massively deployed RF standards out there (try comparing the number of Bluetooth devices vs Zigbee devices, for example) – but it lacks some key features vital for IoT, such as support for multi-hops (AKA mesh networking, which makes it possible to contact a device from far away by asking nearby devices to relay the request, which will in turn ask nearby devices, and so on). As it turns out (and as we speculated previously) the Bluetooth Consortium is working on this, and is about to release a specification largely based on work from CSR. They are also working on another key item: set Bluetooth to Internet (TCP/IP) and Web (HTTP, REST, etc.) bridges. This is obviously of great interest and relevance to the Web of Things perspective. When we defined the Web of Things architecture back in 2007 our take was (and still is!) that the best way to create an application layer for the Internet of Things was to take inspiration from what the Web did to the Internet, and reuse a lot of the Web standards for things. And this is precisely what we baked into the EVRYTHNG platform. However, it is clear that all things can’t simply natively speak Web protocols, so standard bridges like the ones the Bluetooth Consortium are building are essential to the success of an application layer for the IoT. Basically, these standards will enable us all to interact with real world objects through well-known protocols and patterns such as HTTP and REST.